This PAX East we are debuting Table Titans first published board game, BRUTALITY! designed by legendary game producer Stephan Frost (Blizzard, Disney, Nexon), BRUTALITY is an action packed medieval combat brawler for 2-4 players. 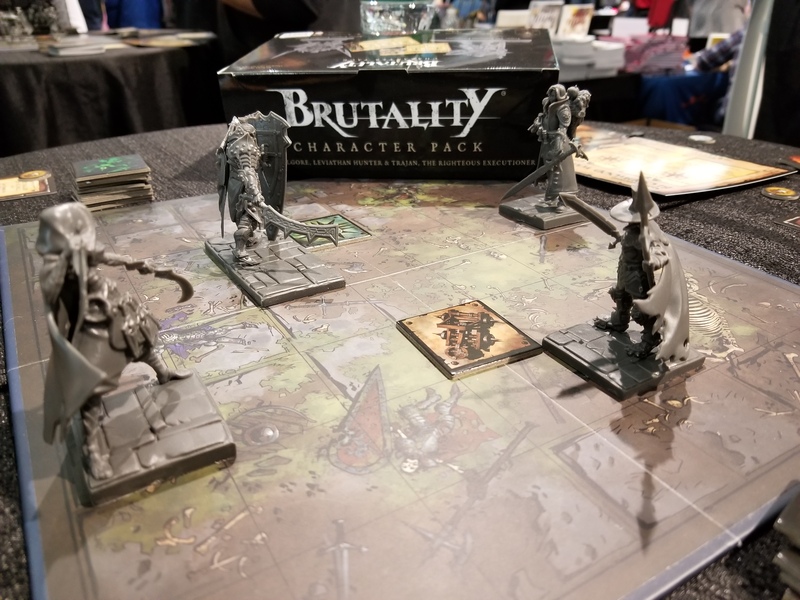 We’re having a special PAX EAST sale to celebrate the release where you get the BRUTALITY and ALL THREE EXPANSIONS for only $100. This is a limited time Brutal Bundle is only available during release week. If you can’t make it to the show, don’t worry, this sale extends to our online store. We will be running demos of BRUTALITY at the booth all weekend, so please come by and try it out. So we’ve scheduled a couple of panels. On Friday at 8pm in the Cuttlefish theatre, Stephan Frost will be hosting a panel of professional designers as they discuss the similarities and differences between designing board and video games. Scott will be telling stories and making fart noises on stage Saturday night at 9pm in the dragonfly theatre. Codename entertainment will be at our booth promoting Idle Champions of the forgotten Realms and they have some fun in store for those who stop by to say hello. Come and check out the game, get some free codes to unlock characters and loot chests and have your caritcature done by one of the Codename artists. Game to Grow will be at our booth promoting their breakout kickstarter for Critical Core, an rpg aimed at helping kids on the autism spectrum build confidence and social skills. 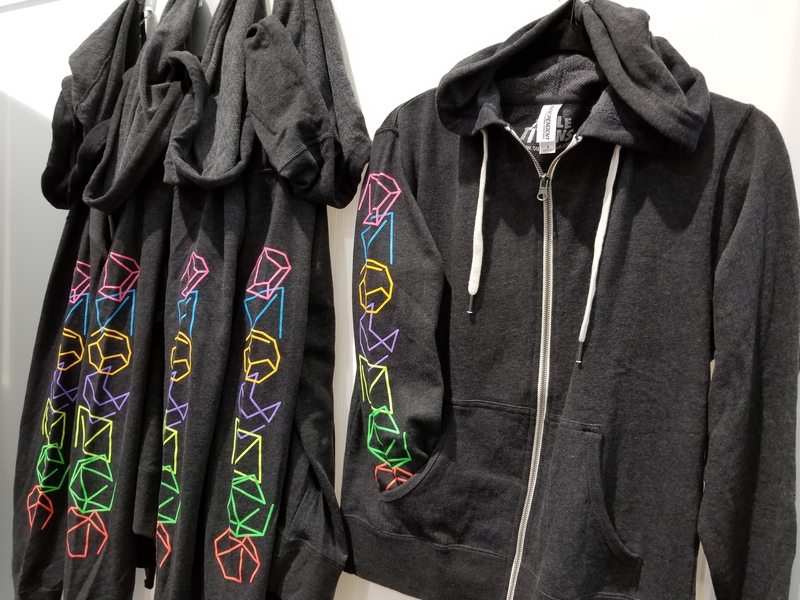 Pick up one of our Table Titans Deconstructed Dice Hoodies and a portion of proceeds will go to Game to Grow to help with their important work. The booth will be stocked with all the Table Titans loot you’re hungry for. Adventure Journals are back in stock after their 3rd printing and we’ll have them in massive quantities at the booth. Hold three characters in a cloth-bound tome and impress everyone at your table. Like to read? Table Titans books 1-2, Binwins Minions, and Tenko King vol 1-2 will be stocked on on display. Words and pictures perfectly balanced to deliver adventure and amazements. Game Master Screens protect you secrets from players prying eyes. Various Sundies from our friends at Norse Foundry will produce only the best outcomes for your party. And more! Please come see us at booth 12090!! These beautiful faces are waiting for you there.